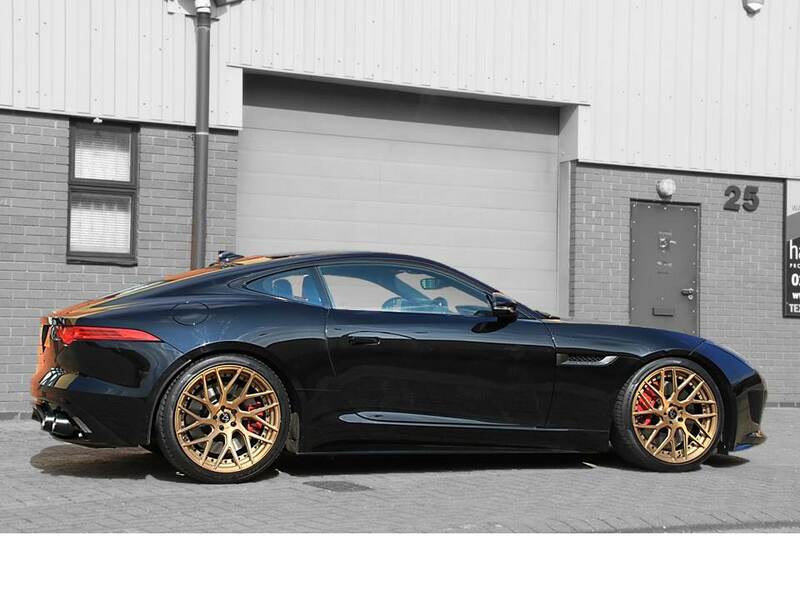 Jaguar F-TYPE Tuning ‘Project Predator’: VIP Design is excited to launch its 650bhp Jaguar F-TYPE ‘Project Predator’. Complete with a suite of modifications and styling upgrades, VIP Design takes this original beautiful beast of a sports car and makes it even more special, turning it into a true head-turning king of the road. The Jaguar F-TYPE ‘Project Predator’ upgrades deliver a blisteringly quick 650bhp and a top speed of more than 200mph, which is provided by a number of mechanical and software upgrades working in harmony together. The F-TYPE performance ECU remap was perfected over several weeks of testing on VIP Design’s 3000bhp Mustang dynamometer until 650bhp could be delivered, making the F-TYPE ‘Project Predator’ a true joy to drive. Jaguar F-TYPE Tuning: Under the bonnet, high-flow air filters are added to achieve increased combustion and throttle power. An uprated supercharger pulley was also added, which brings the software upgrade to life by increasing supercharger boost pressures, and this, matched to the enhanced fuelling of the software delivers dramatic reductions in 0-60 times and increased power delivery across the whole rev range. Suspension lowered by 30mm improves the poise and stance of the Jaguar F-TYPE, while harder, stronger suspension parts, joints and rubbers improve responsiveness on the road. A high-performance, full manifold back exhaust system transforms the sound as well as the power, with ‘loud’ and ‘really loud’ settings, while improving exhaust gas cycling through the engine and boosting the F-TYPE’s power even further. The Jaguar F-TYPE high performance exhaust doesn’t just sound the part – it also looks it, with VIP Design’s ‘fighter jet’ exhaust tips adding subtle, polished styling. Exterior styling is also very important to the ‘Project Predator’ upgrade, with carbon-fibre bonnet vents, a front carbon-fibre splitter, and a polished carbon-fibre rear diffuser all helping the F-TYPE stand out from the crowd. Optional extra window tinting is also available, while hand-cast aluminium wheels complete the look. Available in 24 different design options and 28 different colours, you are sure to find something which matches your taste and personality perfectly. 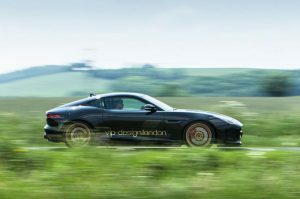 For more information about the VIP Design Jaguar F-TYPE ‘Project Predator’ and how you can turn your F-TYPE into a 650bhp monster, please call +44 (0)1789 774444, email enquiries@vip-design.london or click here and our team will be happy to advise you.